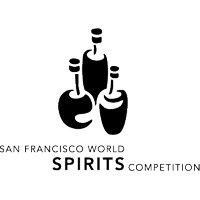 Celebrating its 10th year, the San Francisco World Spirits Competition gathered 30 judges at the Hotel Nikko in downtown S.F. on March 13 and 14 to evaluate 1024 different spirits from 57 countries. Judging panels were comprised of spirits experts from noted restaurants and hotels, spirits journalists from major national media, spirits buyers for large purveyors, and spirits consultants. Los Angeles-based judges included Anthony Dias Blue and Meridith May (The Tasting Panel Magazine), Aidan Demarest (First and Hope), Richard Carleton Hacker (Robb Report), and Kim Haasarud (Liquid Architecture). The judges awarded 131 Double Gold Medals, 189 Gold Medals, 347 Silver Medals and 250 Bronze Medals. Double Gold occurs when all judges on a panel agree that the spirit is Gold, which earns it Double Gold status. The Double Gold winners are scheduled to travel this fall to New York, Washington D.C., Miami, Chicago, Minneapolis, Kansas City, Phoenix, San Francisco, Los Angeles, Orange County, Las Vegas, Seattle, and Beaver Creek, Colorado.